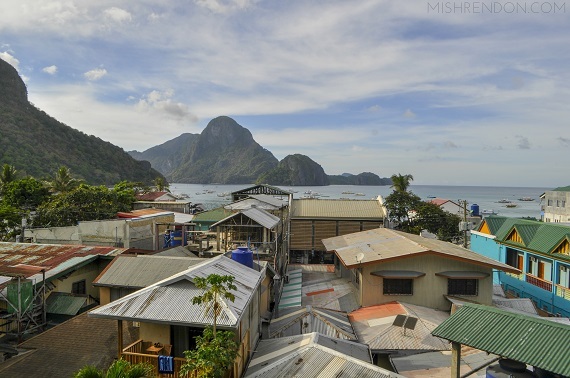 El Nido is fast becoming one of the most popular tourist destinations here in the Philippines. It's no brainer why. It offers only the clearest and most pristine waters, endless breathtaking scenery, and lots of sea adventure. 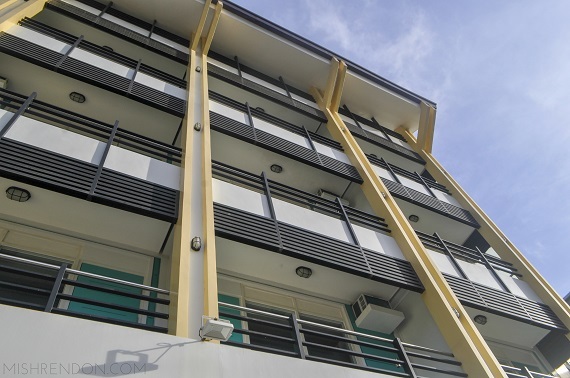 I believe that a trip to this paradise is not complete without a comfortable and convenient place to stay. 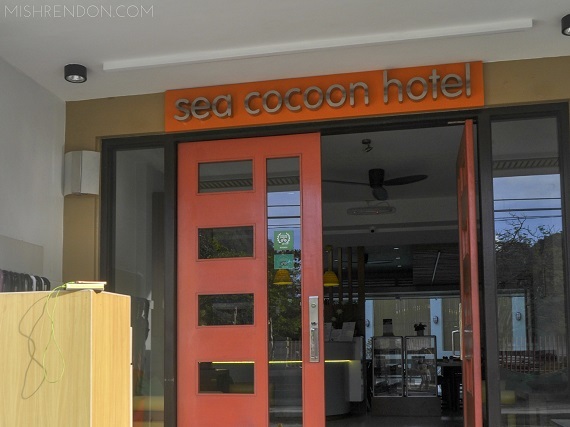 I usually have low expectations when it comes to accommodations in remote places so I was quite surprised to have encountered Sea Cocoon Hotel. It's like a first-class hotel in one of the most beautiful places I have ever been to. 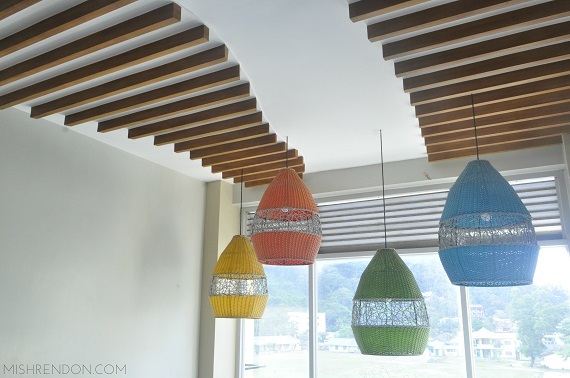 Sea Cocoon Hotel's lobby, being the first area that you'll come to witness upon getting there, makes such a powerful impression. We arrived at around 7 in the evening already but the burst of colors was still a pretty sight. During the day, I love how lively the lobby area is. The seats would be filled in the morning with tourists waiting for their tour guides to pick them up. 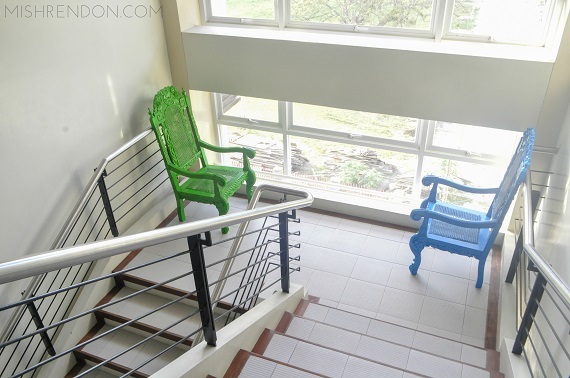 Otherwise, you'd see people lounge in the colorful seats for the rest of the day. Checking in was a breeze. They knew that we would be coming in at 7 in the evening and our room was already prepared by then. 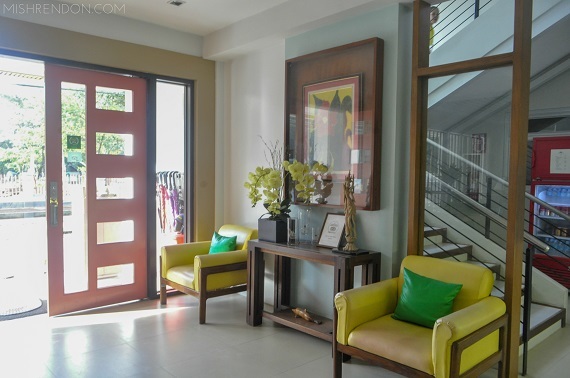 We were just asked to give P1000 each as security deposit to cover any other expense we would be incurring. The full amount was returned to us upon check out. 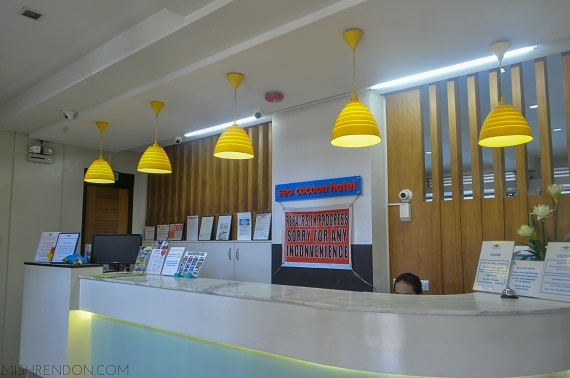 People in the front desk were extremely accommodating. They gave us recommendations on where to eat and were really helpful at all times. By the way, key cards need to be validated at the front desk once after the check in date and they can already be used up to the check out date. Our room was situated in the 4th floor and there was no elevator in the hotel. The climb up the stairs can be quite a challenge if you are not used to it. But you'll see in photos below that it is all worth it. So if you are traveling with elderly or small kids, I suggest you take a room in the lower floors. There are also no individual phones per room. There's one phone on each corridor so that you could reach the front desk. We only needed it once so we didn't mind that it wasn't inside our room. We kept the windows that way (blinds down) the entire time. We just go out of the balcony to enjoy the view. The room we were provided with was a Triplet room. 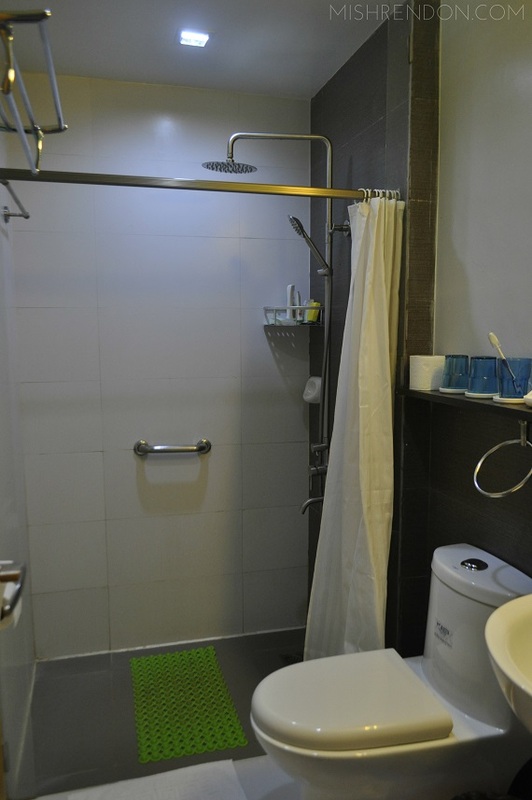 It has three single beds, toilet and bath, cable television, electronic safe, filtered bathing water, and air conditioning. The beds make you want to stay there all day because they utilized comfortable memory foam. 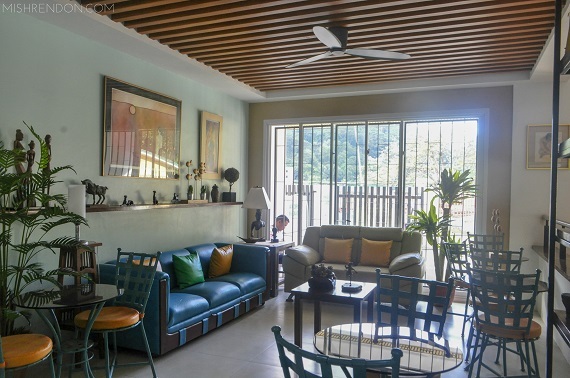 The air conditioning was quite a treat after staying under the sun the entire day. I love how the walls reduce the noise because it was quiet in our room all throughout our stay. They have free WiFi in designated areas. It's their hotel policy though to input the password manually on each of your device. They don't hand over the password which I understand completely. During our first night, the hotel was kind of spotty but I think it's because of a previous power outage. There are times when the WiFi would work and there are times when it doesn't. 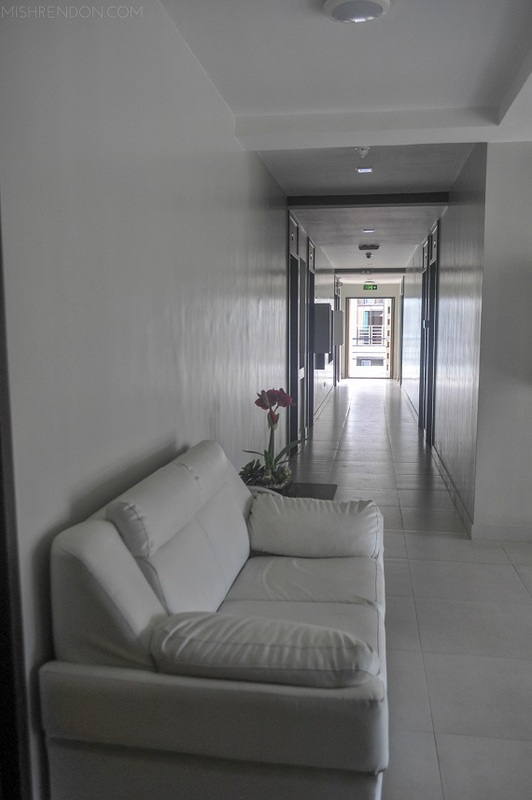 I think the best place to connect to the internet though is the lobby and dining area. But with such a beautiful place to be in, I think you wouldn't really mind having spotty internet. My spot! There are electrical outlets at the back of the side tables which I use whenever I'd charge my phone at night. The hot and cold showers wasn't working during our visit but I didn't mind. The water wasn't too cold anyway and it was refreshing for my sunburned skin which I got from staying in the sun the whole day. 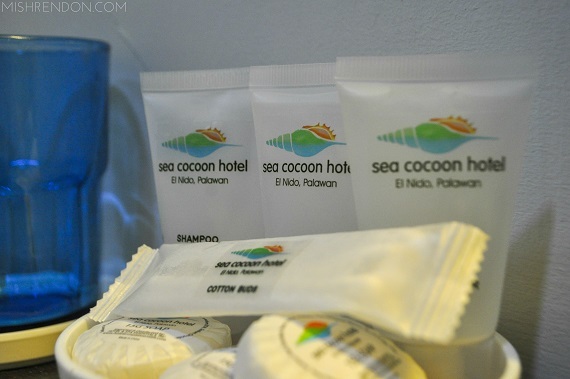 They likewise provided toiletries such as shampoo, bath soap, and cotton buds. I wish though that they had toothbrush, toothpaste, and bedroom slippers provided as well. I love how they kept our room spotless whenever we leave it during the day and how they never fail to replenish the toiletries as well. It's extremely satisfying to go home to a clean and comfortable room after spending the entire day in the sea. 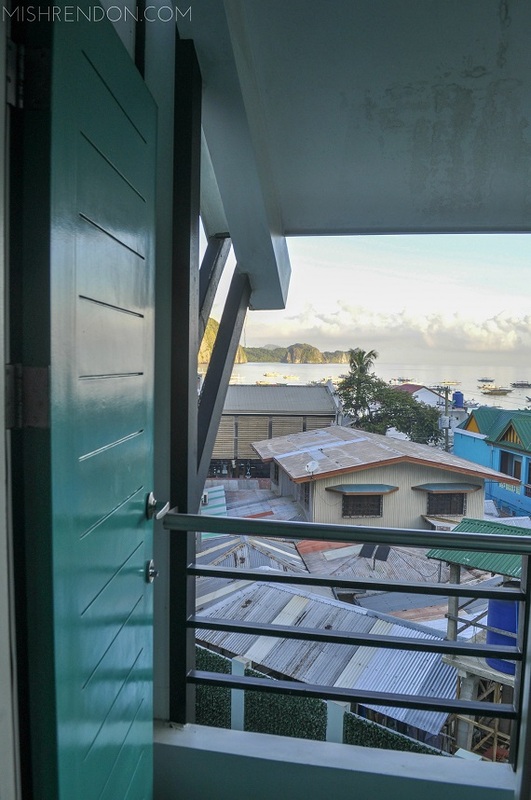 Each room has an individual private balcony and being up on the 4th floor, our balcony has a pretty awesome view. I guess that's what you get for having to climb up to the 4th floor. And I tell you, it's all worth it. We got there at night so there wasn't much to see except the changing colors of the lighted pool. When I got up the following day, the magical view of both the sea and mountains came to wake me up. I would probably never get tired of waking up to that view. 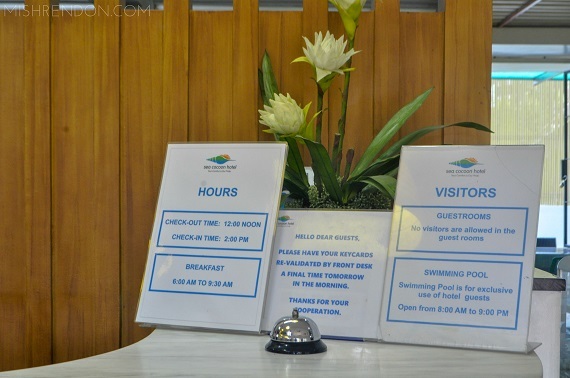 Rooms at Sea Cocoon Hotel comes with a complimentary buffet breakfast. They actually offer a pretty decent selection everyday. They have a section for cereals, fruits, breads, mains, and drinks. 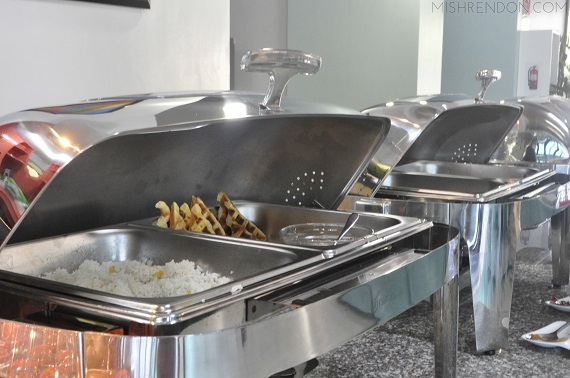 For mains, they usually have rice, waffles and at least four viands (which gets changed every single day). 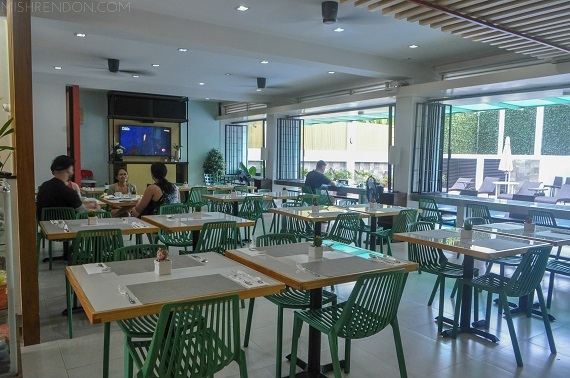 You can also request for scrambled or sunny side up eggs from the kitchen. 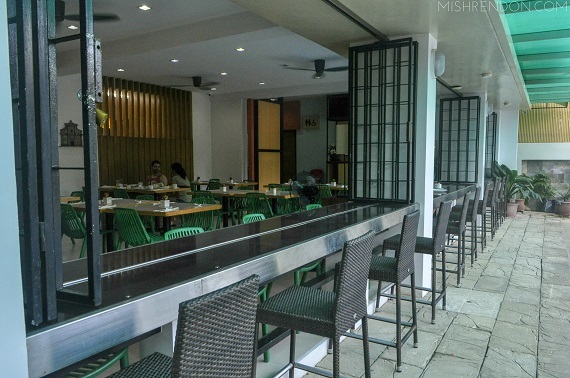 For drinks, there's tea, coffee, and juices. 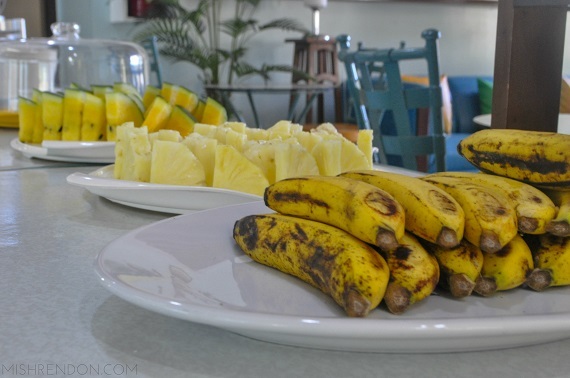 A meal in the island wouldn't be complete without fresh fruits comprising of bananas, pineapples, and watermelons. 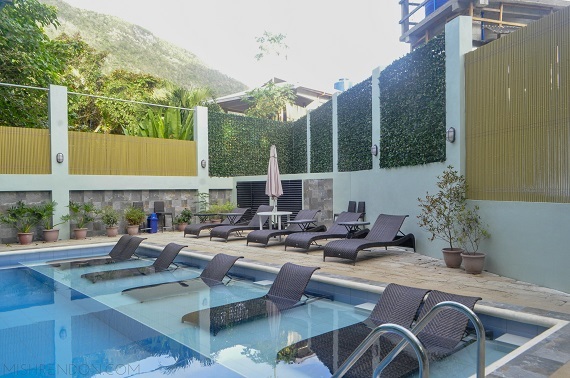 Though quite small, the pool area at Sea Cocoon Hotel is such a nice amenity. This place doesn't get crowded because most people are busy with their island tours. The most people I saw in it was during one late afternoon with around four people lounging in the seats and getting a tan. 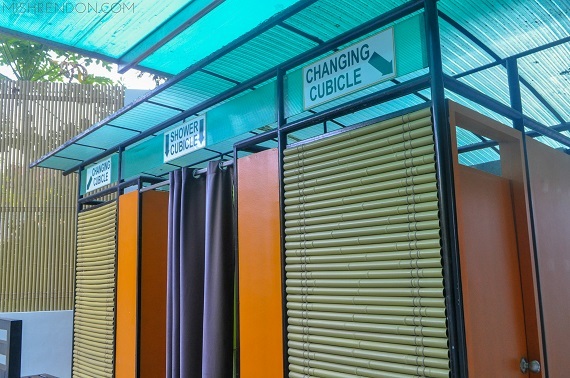 They have two changing cubicles and one shower cubicle by the pool. 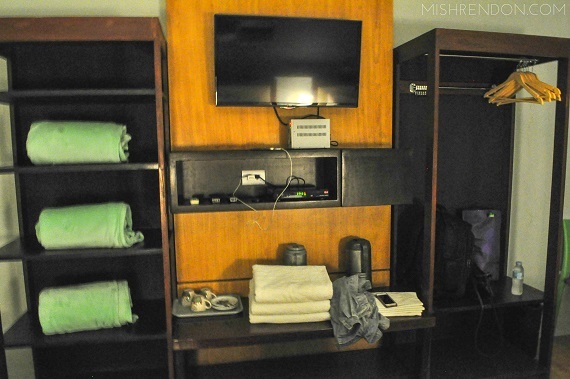 As for towels, you could just borrow one from the front desk because towels in the room are not allowed to be brought outside. 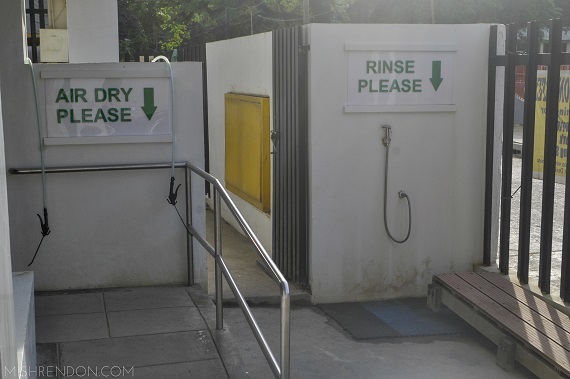 It's a hotel policy to rinse sand off and air dry your feet first before entering the hotel. It's to ensure to keep the place clean especially if you just got back from an island tour. 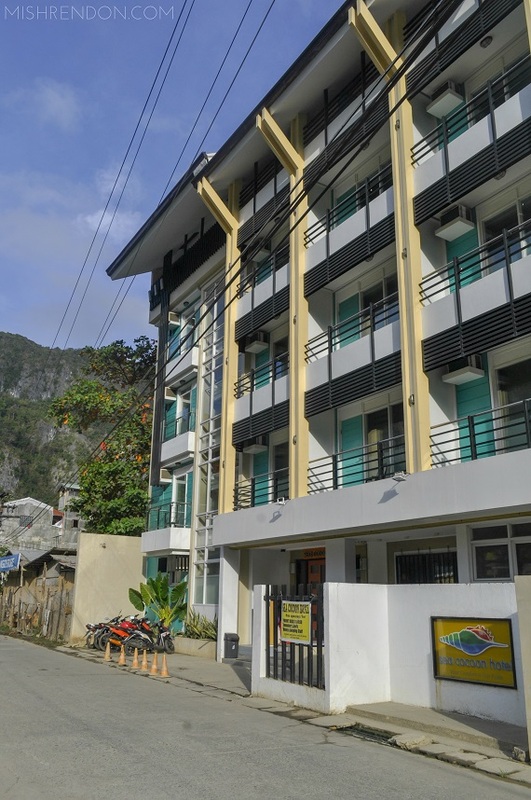 Sea Cocoon Hotel is conveniently located in Calle Real in El Nido. It's just a block away from the beach and it's near most establishments. There are tons of restaurants, bars, and souvenir shops one street away from the hotel. I love walking there at night! 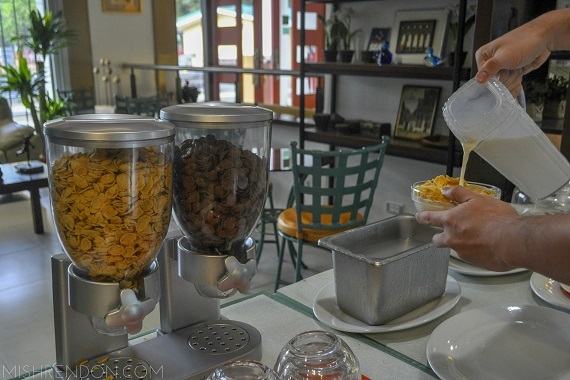 There are small groceries and convenience stores a few feet away from the hotel. Whenever we'd have our island tours, we just walk to the port and back. It's that how convenient their location is. 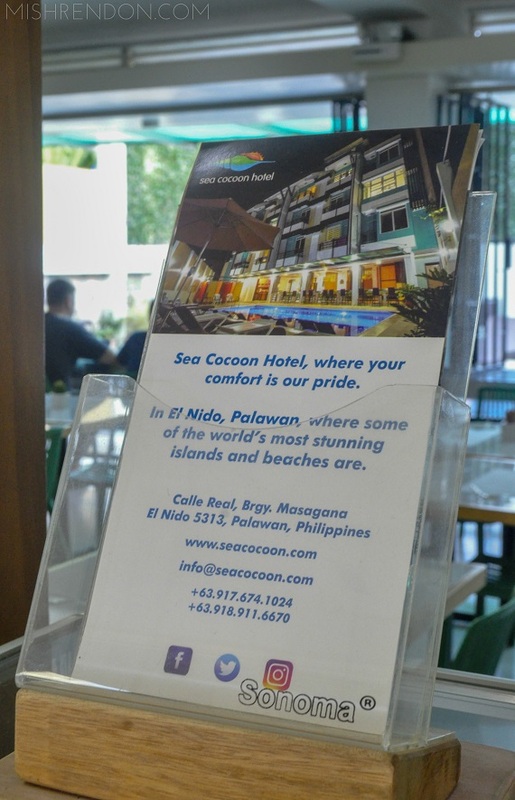 For a convenient and comfortable stay, better check out Sea Cocoon Hotel. 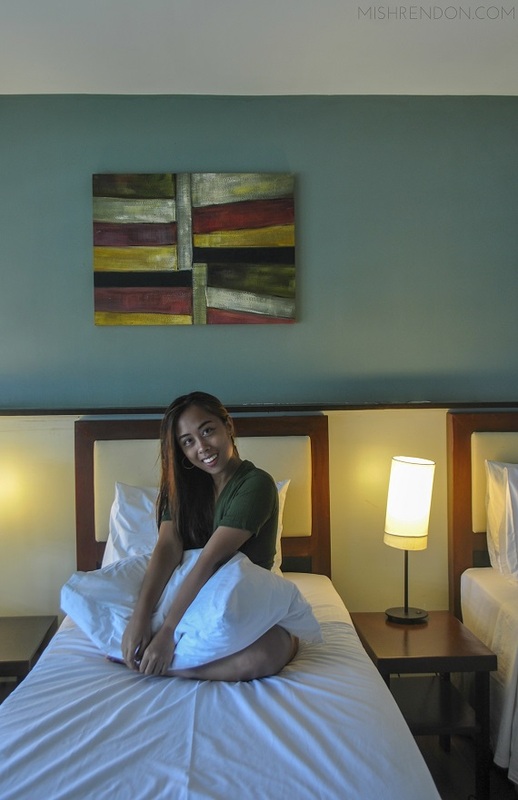 No wonder it was hailed as best bed and breakfast in all of Palawan. 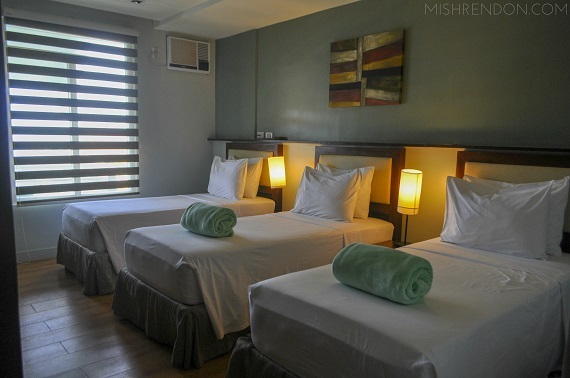 Aside from triplet rooms (prices of which start at P4800 depending on the season), they also offer standard twin, standard double, premium double, special double, and family rooms to accommodate you and your group.